Augustin's performance this season is, by most objective measures, worse than Brandon Jennings' season last year. Further, Jennings has reduced his poor shot selection (through two games, he hasn't taken a single three pointer), is generating the same amount of offense via the pass in half the time (in 61 minutes, Augustin has accounted for 9 assists; Jennings has 8 assists in 35 minutes), and has not looked like a worse defender than Augustin, who, last night especially, was a turnstile. This is where three words matter: Small Sample Size. But regardless, it's hard to argue for Augustin right now as the superior point guard. The Pistons' offense, which has stagnated through two games, is being run by a shoot-first point guard who has taken 20 of his 28 shots from beyond 10 feet. This is not how you win basketball games. The Pistons have not won basketball games. 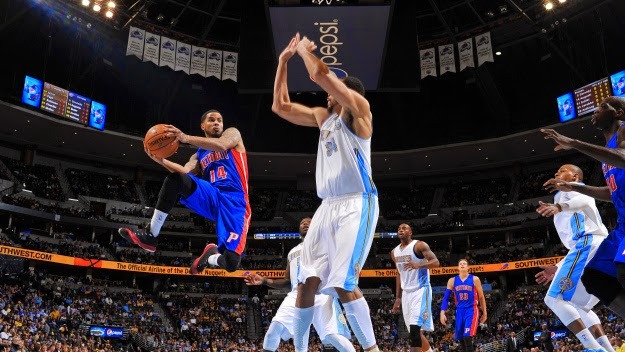 Augustin is not solely to blame for the Pistons' disappointing start. Kentavious Caldwell-Pope, long the favorite of this blog, has been terrible through two games. His defensive impact has been significant, especially above replacement--Caron Butler--which has been nonexistent on that end of the floor. But KCP's offense, something that's badly needed on this team, has been a detriment. Coming off of a knee strain can do that to players, especially athletic jump shooters, but KCP's issues around the basket persist and don't appear to be letting up. He's simply not very good at taking contact or finishing at the rim, a perplexing issue for a player who should be able to get there with regularity. Meanwhile, the team's anchor, Andre Drummond, has been atrocious in his first two games. 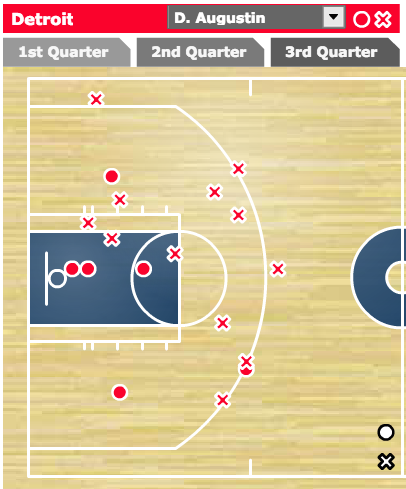 He's shooting a putrid 41.7% from the field. Worse, he's averaging one foul every 5.27 minutes. Drummond can't stay on the floor, is being bulldozed on the defensive end, and has been shooting 20% worse than any time in his career. Oh, and his free throw shooting hasn't improved. 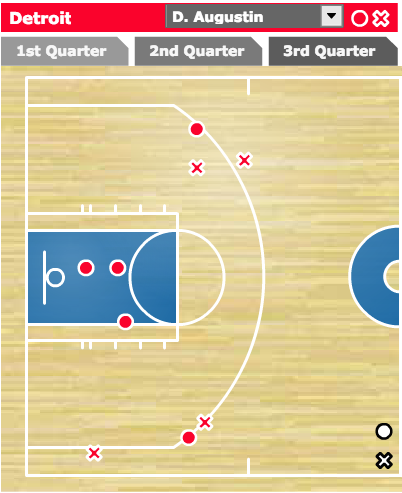 And then there's Josh Smith, who looks like middle-of-the-road Josh Smith. He's the reason the Pistons weren't blown out in the first game, but pretty awful in game two. Smith is still a player capable of incredible highs and consistent disappointment. But if you buy into Kenneth Faried's antagonizing, you're probably looking for reasons to bury Smith in the first place. This is not the team we were promised. Or perhaps it is with flawed personnel (for example, Joel Anthony cannot play professional basketball anymore). Greg Monroe will be a sight for sore eyes when he makes his debut tomorrow. But his presence won't fix all of the other glaring problems with this team. It takes time to implement a system. Players need to learn how to move off the ball. Defensive rotations take time to understand and feel intuitively. Andre Drummond can't play this poorly all season (Can he?). Many people, I first among them, expected big things from SVG and this season. But it was never going to be as easy as I hoped. Two games is not adequate time to fully understand a team, but this has been alarming.